The PDF Review module is a simple, yet powerful PDF approval tool. It is designed to automate and replace manual email soft proofing. The PDF file is uploaded to a web server and streamed to your customer. That way, you don't need to save low-resolution versions in order to send them via email. No need to worry about overprint settings and client software. 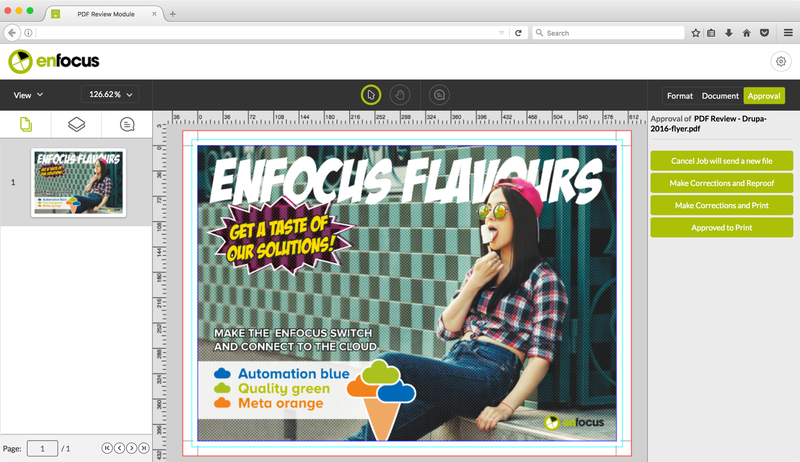 The PDF Review Module guarantees correct viewing of the file as you intended it to look. The interface is browser based and the PDF file is streamed to the user. The PDF Review Module generates a unique URL which is sent via email. Your end user only needs to click the link in the email to access the interface and approve the PDF. When a PDF file reaches the PDF Review App in the Switch flow, it is uploaded to the web server. After the upload, an email with a unique URL is sent to your customer. The customer clicks the link. The PDF file to approve now opens in a browser-based viewer that supports overprint and transparency. There is no need to download or install any software. The Approval options are customizable and are defined by the outgoing connections from the PDF Review App in the Switch flow. 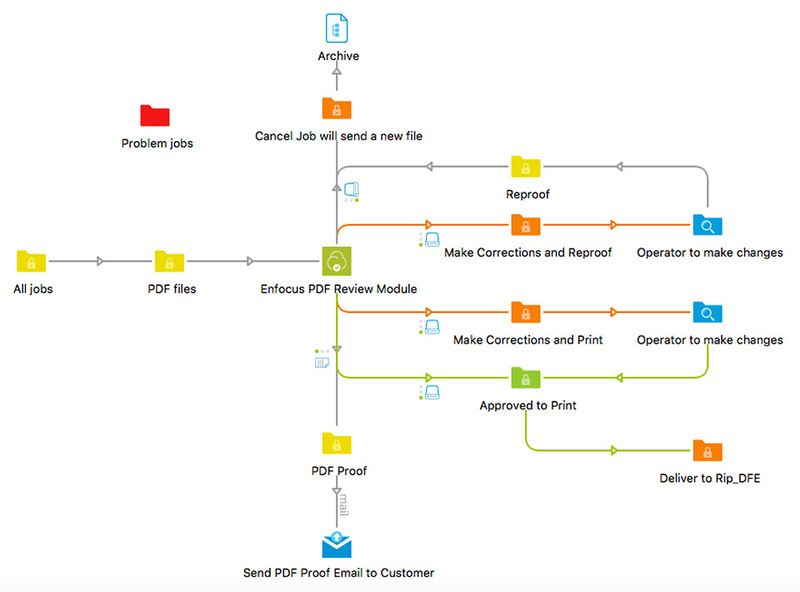 When the user makes an approval decision, the PDF file is moved back to Switch and routed to the appropriate branch of the flow. The following tools are available to the customer within the interface. These are customizable in Switch, so you don’t confuse the customer with tools he does not understand or need. Within your network or DMZ. Externally on a datacenter or cloud server. The PDF Review module ships with 10 concurrent licenses. This means that ten customers can view and approve 10 different PDF files at the same time. Additional client licenses can be purchased if required. The PDF Review Module requires the Switch Core Engine 13 update 1 and above. For maximum automation and efficiency it is recommended to include the Switch Metadata Module to the Switch configuration. The end user interface module is currently available in 22 languages: Arabic, Chinese, Danish, Dutch, English, Estonian, Finnish, French, German, Hebrew, Hindi, Italian, Japanese, Korean, Latvian, Lithuanian, Norwegian, Polish, Portuguese (Brazilian), Spanish, Swedish and Russian.